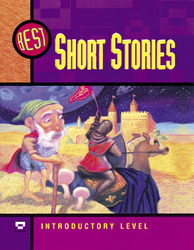 These short stories were carefully chosen to give students a comprehensive reading experience. They include adventure, science fiction, romance, mystery, and others. Students learn how stories are constructed, how characters are created and used, and how the story is make to hold the reader's interest. Complete and unabridged, this series will enable students to gain a strong knowledge of all the major elements that make up a well-written story.